Don’t worry about being too late on your date, fellow. 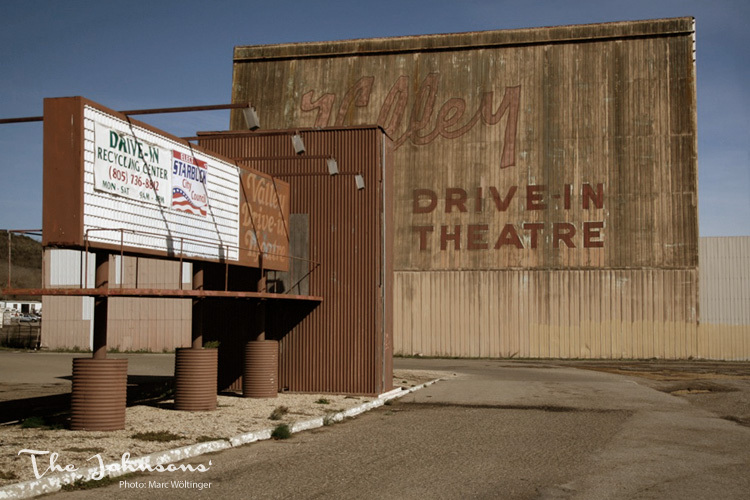 The Valley Drive-In Theatre in Lompoc already closed a long time ago. But you can still have a thrill by gazing at the giant screen which is still there, sporting its beautiful lettering. There’s also the billboard that was used back in the days to announce the local teens’ favorite flick. Or as wikipedia.org states in its article about drive-in theatres: »The drive-in’s peak popularity came in the late 1950s and early 1960s, particularly in rural areas, with some 4,000 drive-ins spreading across the United States. 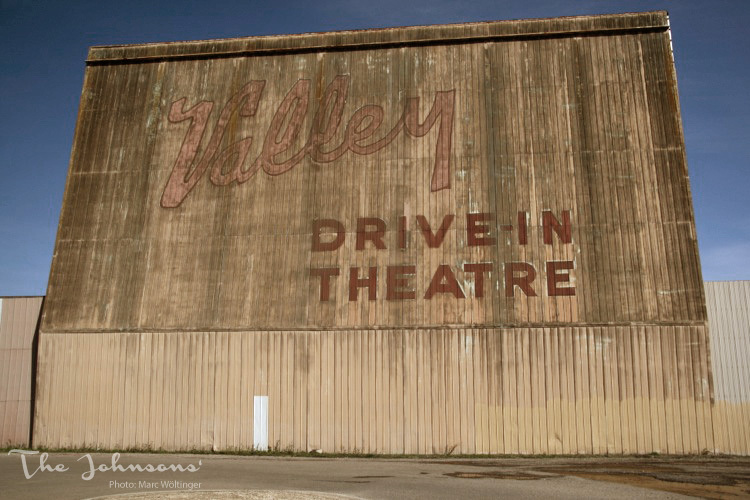 Among its advantages was the fact that a family with a baby could take care of their child while watching a movie, while teenagers with access to autos found drive-ins ideal for dates.« Considering the sad fact that most old drive-in theatres throughout the USA were torn down, it almost sounds like a happy ending that the Valley Drive-In Theatre in Lompoc is now used as a drive-in recycling center. Enter your email address to subscribe The Johnsons and receive notifications of new posts by email.